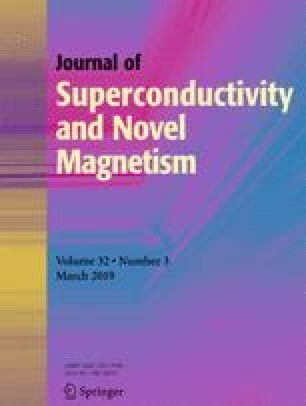 In this paper, we have investigated the influence of substitution of Nd by Sr on the structural, magnetic, and magnetocaloric properties of Nd1 − xSrxMnO3 (x = 0.3 and x = 0.4). These compounds were prepared using the solid state method. The structural, morphological, and magnetic properties of our system were characterized by XRD, MEB techniques, and a magnetometer for magnetic characterization. The Rietveld refinement has revealed the coexistence of both Pnma orthorhombic and R-3c rhombohedral phases. The magnetic data indicate that the compounds exhibit a continuous paramagnetic (PM) to ferromagnetic (FM) phase transition. In addition, the critical behavior in both compounds associated with the magnetic phase transition has been studied by the magnetization isotherms. The critical exponents are deduced using various techniques such as the modified Arrott plot, Kouvel–Fisher plot, and critical isotherm technique. Finally, the results obtained of the magnetocaloric effect are in agreement with the reported values of previous researches. These results show that our samples can be used as a magnet refrigerant at room temperature.